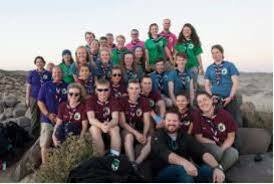 Explorer Scouts are young people aged 14 to 18 and they meet in Units organised at a district level. The Oakdene Explorer Unit was established at our hut in September 2015 and most of our Scouts choose to join that Unit. They meet on a Thursday evening from 7.45pm to 9.45pm. The Oakdene Explorer Leader is Andy and he is supported by Theran and Gordon as Assistant Explorer Leaders.